Join us for a night of collaboration, creativity, and taiko-based music from across the globe. On Thursday, October 18, Ho Etsu Taiko hosts musicians Shogo Yoshii and Shoji Kameda for Autumn Hues, a joint concert that features musical inspiration from Tokyo, Los Angeles, and Chicago. Autumn Hues draws inspiration from diverse musical and geographic backgrounds to make connections through creativity. Join us as we share the universal joy of hearing the drums, knowing that each drum beat brings us together across a global taiko community. Autumn Hues: Thursday, October 18, 7 – 8:30pm, Midwest Buddhist Temple, $15 ($10 for MBT members). Buy your advance tickets here. Ever seen a taiko performance and thought, “I’d love to do that”? Here’s your chance! Ho Etsu’s fall 2018 class is great for people of all ages. We’ll teach and review the basics of upright (beta) drumming, practice musical fundamentals of dynamics and rhythm, teach a new song, and perform for family and friends at a final recital. We welcome both people with no taiko experience and those with a previous class or workshop under their belts. 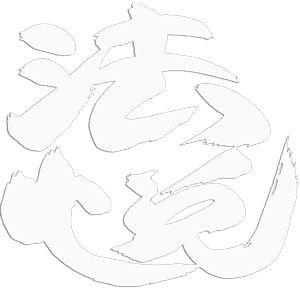 Beginner’s Taiko Class: Thursdays, 11/29 to 12/20, 7 – 9pm, Midwest Buddhist Temple, $140. Limit: 15 participants. Sign up here. Hey! Ho Etsu’s turning 21! Pretty cool, huh? 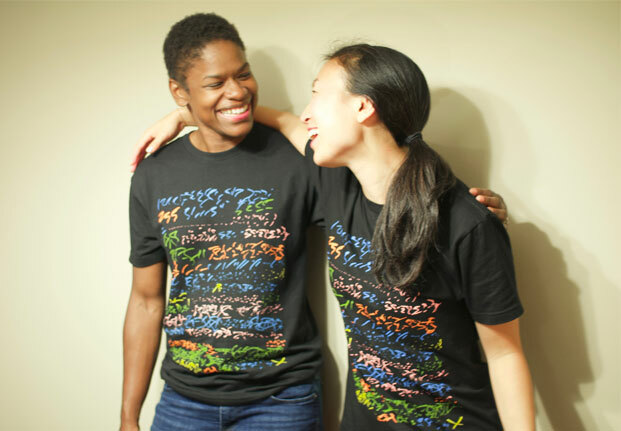 You can get your own, limited-edition copy of this t-shirt at the Ho Etsu store. And if you’re interested in some brief Ho Etsu history, check out Jason’s recent anniversary blog post! 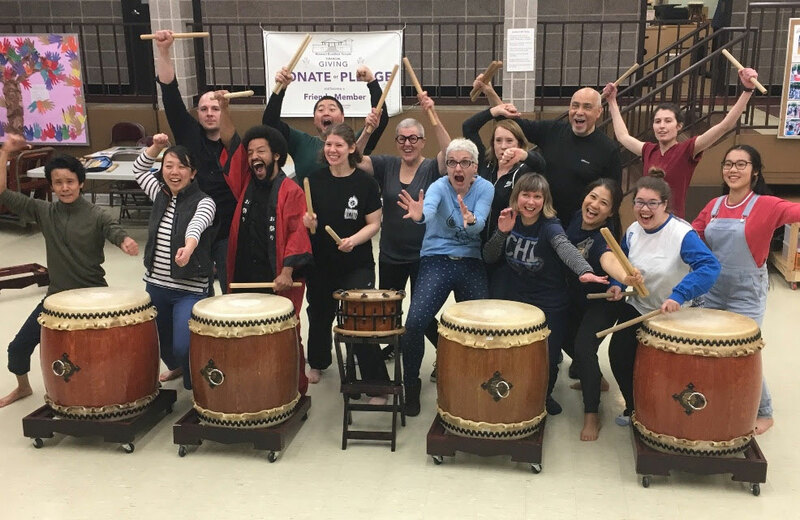 Ho Etsu is helping their taiko friends at kaDON with a unique taiko retreat to be held at a center on Lake Beulah, WI (1.5hrs from Chicago). Participants will learn from two accomplished musicians, Shogo Yoshii (Tokyo, Warakusouden) and Shoji Kameda (Los Angeles, On Ensemble). Music/dance/singing workshops will be held at various locations around the center, most importantly around CAMPFIRES with s’mores and beer. Come have fun with us! KaDON Retreat: Friday 10/19/18 – Sunday 10/21/18. There are less than 10 spots left! Visit this website to register & learn more.